Guests are welcome to use the apartment phone to receive calls at any time during their stay and to make free, weekend calls to UK landlines. Calls made during the week will incurr charges and those charges will be invoiced to you. FREE CALLS TO LANDLINES AT WEEKENDS ONLY. FREE CALLS TO NUMBERS BEGINNING WITH 0845 *** *** AT WEEKENDS ONLY. 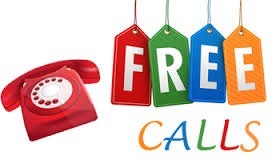 FREE CALLS TO NUMBERS BEGINNING WITH 0870 *** *** AT WEEKENDS ONLY. 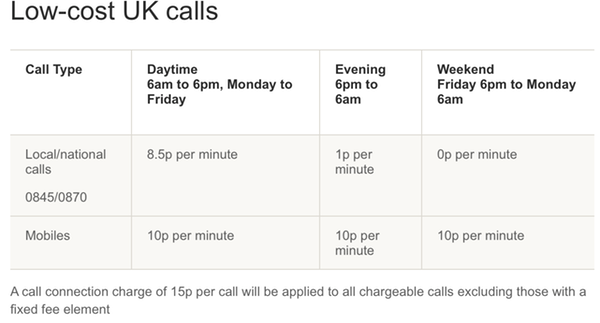 Using the landline other than at weekends will incur charges. kindly note the outrageous 15p per call connection charge!!! !